Pneumsys representsMODIFY, Italy which manufactures specialized tubing indifferent raw materials, diameters and colors for Pharma, pneumatic, agriculture, milk, food, beverage, watertreatment, dental and medical applications. 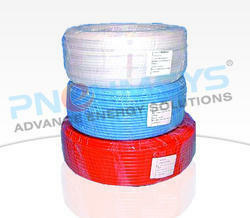 The main raw materialsthatMODIFYextrudes are PVC, Polyurethane, Polyamide PA12, PA6, PA11 Rilsan, Polyethylene LDPE & MDPE, TriflexFly™, Trifly Ray™, PTFE (Teflon), PVDF (Kynarflex), TPE-E, Copey™ PASuperflex, PA-ALLOY 12.6™, etc. Modifyis a young Company founded on the experience of its own staff. 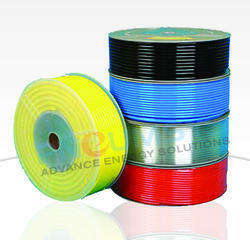 The experience accrued year after year in the field of plastic material processing industry starts since 1975. The products and system certifications attest to the quality of our products and the quality of our system.Mediflyhas got certifications relating to the UNI EN ISO 9001:2008 and UNI CEI EN ISO 13485:2004 quality systems, as well as the CE mark for all types of medical devices. 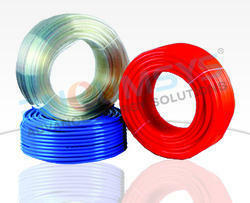 Tubes for beverage sector have German SK (SK402-001 – SK402-002) certification. The production environment is according to the ISO specifications, and the checking during the production allows to guarantee the quality of our products. The John Guest PE range of plastic tubing is produced in Linear Low Density Polyethylene for cold and intermittent hot water applications. 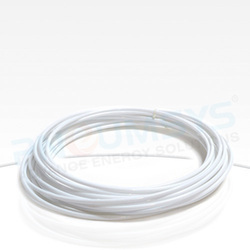 Our tubing provides the benefits of a wide range of temperature and pressure suitability, broad chemical compatibility and is made from non contaminating materials. Common applications are in water purification, water conditioners, ice makers and misting systems. LLDPE is more robust than traditional low or medium density polyethylene and is recommended for use with cold and intermittent hot water. 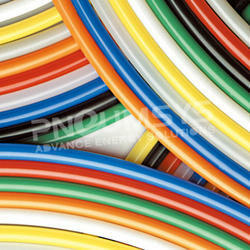 Our tubing is made from FDA compliant materials and is NSF International certified. John Guest Polyethylene tubing is designed for use with John Guest Super Speedfit push-in fittings, John Guest Shut-Off Valves and virtually all standard tubing connectors. NORMS the raw material used to produce these tubes is according to Directive EEC 2011/65 (RoHS), eventual alimentary declarations of conformity about the raw material can be requested at the moment of the order. Recommended for agriculture (pruning, olive downhearting).The use of this typology of tube with continuous pulsating pressures can create heat accumulation, although it is particularly resistant to labour and tension flexions. The marking is printed every 50cm. Customized marking on demand. - very good for the conduction of paint, oils, water, air fluid water based in general and vapour. - Notable Resistance To Hydrocarbons And Oils And Good Inertness To Chemical Agents. This kind of material is particularly indicated to realize pneumatic tubes, robotic, electronic labs, tools, industrial machines, etc, that means where it is necessary ATEX certification. 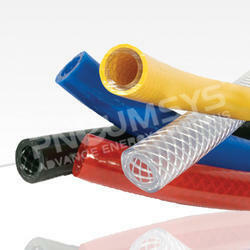 Polyurethane polyether tube hardness 90 ShA with high tenacity polyester yarn reinforcement. 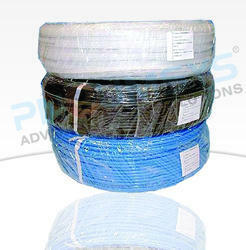 High resistance to abrasion and bendings. compressed air, pneumatic tools and cooling lines, spray and painting guns, sandblast and abrasion resistant application in general. - high resistance to extreme weather conditions.